First and foremost, volume has slowed to a trickle. 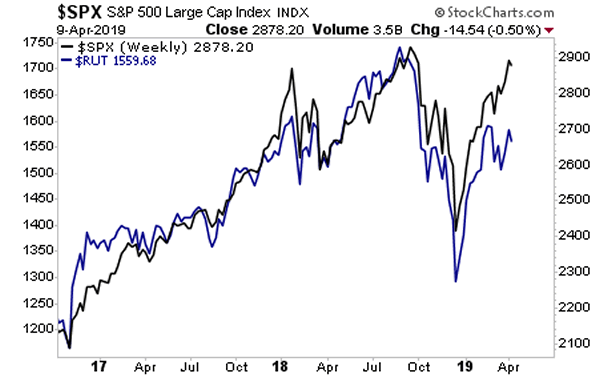 Two of the last four days saw trading volume at their absolute lowest since late September 2018: right before the last market meltdown started. 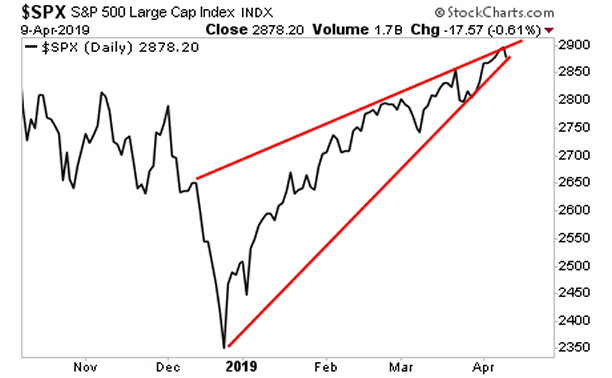 This is occurring right as the S&P 500 nears the completion of the bearish rising wedge formation that has been building since the December bottom. Anytime you have declining volume right as a major technical pattern is completing, you have the makings of a truly VIOLENT move. 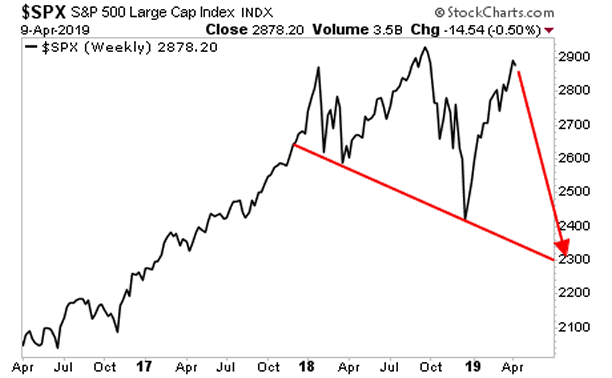 When you combine all of the above with the fact Russell 2000, which usually leads the broader market, has already broken down, it looks like a nasty drop is coming soon. Think 2,300 on the S&P 500 in a matter of weeks.